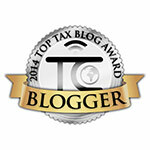 The Buzz About Taxes: Oh My! You Have Substantial Presence in the US? Now You Have To File Taxes! I usually have clients who need substantial presence in the USA. Most times this is for a spouse and/ or a dependent in the country to apply for an ITIN when they would not otherwise qualify for a Social Security Number. It is also possible that the taxpayer himself needs to establish substantial presence in the US so he is able to make a "First Year Choice" for the previous year. Some taxpayers whose parents make repeated trips from abroad and stay with the taxpayers for extended periods of time, may be able to apply for ITINs if they fulfill the substantial presence requirements. This usually results in the taxpayers claiming the parents as dependents for that year if other dependency tests are fulfilled. There are caveats on new ITINs issued, please read my post here for more information on this. You will be considered a U.S. resident for tax purposes if you meet the substantial presence test for the calendar year. Rule 1: You are treated as present in the United States on any day you are physically present in the country, at any time during the day. Rule 2: One does not have to count days for which one was an exempt individual. Rule 3: Closer Connection to a foreign country. There are exceptions to above 3 rules and are detailed in Pub 519, U.S. Tax Guide for Aliens. To meet the GCT, you are a resident, for U.S. federal tax purposes, if you are a Lawful Permanent Resident of the United States at any time during the calendar year. And you are a Lawful Permanent Resident of the United States, at any time, if you have been given the privilege, according to the immigration laws, of residing permanently in the United States as an immigrant. You generally have this status if the U.S. Citizenship and Immigration Services (USCIS) issued you a Form I-551, also known as a "green card." If you meet the green card test at anytime during the calendar year, but DO NOT meet the substantial presence test for that year, your residency starting date is the first day on which you are present in the United States as a Lawful Permanent Resident (Green Card Holder). The flip side of this issue as it recently happened to a client, once a non-US person is classified as a "resident" for income tax purposes, he is subject to income tax in the same manner as a US citizen. He is taxed on his world wide income, that includes income from within AND outside the US. The world wide income covers what is earned from the start of the residency period to the end. This income includes wages, interest, dividend, rents & royalties, capital gains no matter where they were sourced from. The person also becomes responsible for filing tax returns including FBAR forms. More on requirements to file FBAR on my post here. There are also other tax obligations if this person is a shareholder in a corporation outside the country or gets a distribution from a foreign trust. Bibliography: Publication 519, U.S. Tax Guide for Aliens; irs.gov. Consult with a tax professional for your unique needs and make sure your questions are answered. Always remember to read my disclaimer here. If you have any more questions regarding this or other tax matters, contact me at manasa@mntaxsolutionsllc.com.